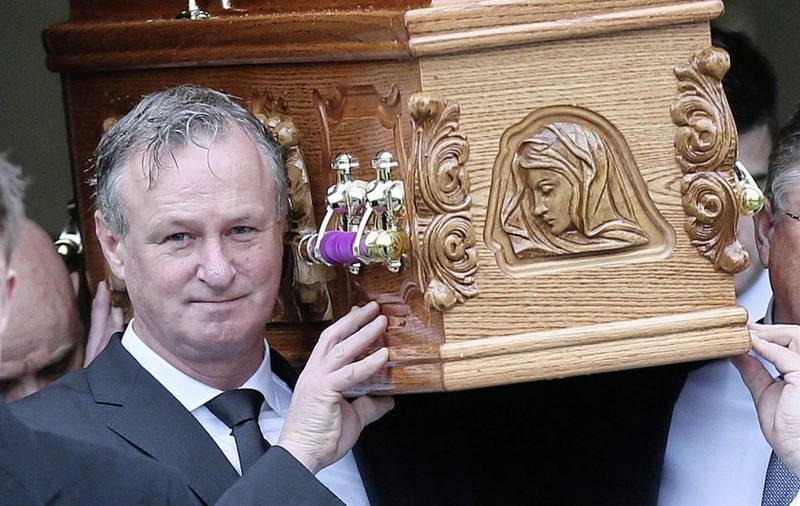 NORTHERN Ireland manager Michael O'Neill laid his mother to rest today after Requiem Mass in Co Antrim. 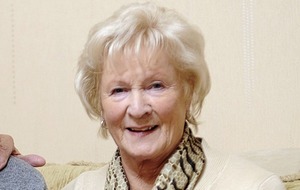 Crowds of mourners gathered at All Saints Church in Ballymena this morning to attend the funeral service for Patricia (Pat) O'Neill. She was buried afterwards at Ballywillan Cemetery in Portrush. Mrs O'Neill, a mother-of-five, died peacefully surrounded by her family in Antrim Area Hospital on Sunday following a long illness. She was gravely ill during the final stages of Northern Ireland's World Cup challenge, with her son travelling from the team's base to Ballymena to be at her bedside before the first leg at Windsor Park. 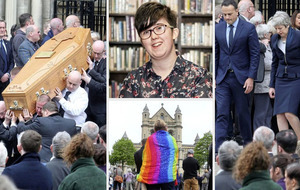 A councillor who attended the funeral told how Michael O'Neill made a "very warm and touching" tribute to his mother, recalling "touchingly and humorously" his fond memories of her. Mrs O'Neill, who lived in the Brigadie area of the town, is survived by her husband Des and children Sean, Una, Maura, Michael and Orla. Michael O'Neill is currently at the centre of a bidding war from football clubs to secure his services as a manager. It's understood he has been offered a four-year contract extension as Northern Ireland boss, amid interest from others including the Scottish Football Association.